We recognize that the important things of life center around relationships and therefore every follower of Jesus needs to be in a transformational relationship with others. We have found that it is only in community that we experience and live out God’s purpose for our lives. We believe that it is God’s great desire to radically transform His followers to be like Jesus Christ. The result of this transformation is modeling our life after His teachings and practices. The motivation for this change is His Grace and Love. As we experience God’s love, we faithfully share God’s love. Because we are the church, we take Jesus Christ wherever we go and whatever we do. We recognize that the church is not a fortress retreating from the world but a counter-culture influence in the world. We believe that people matter to God and therefore matter to us. We desire to develop meaningful relationships with everyone so that we can communicate through our words and lifestyle the love that God has for them. Therefore our words, methods, and programs must be relevant and understandable to those who know nothing about Jesus. We believe that God has a purpose and a plan for every believer. We therefore desire to equip each believer to discover their gifts and calling and to provide them a place to utilize and express these. 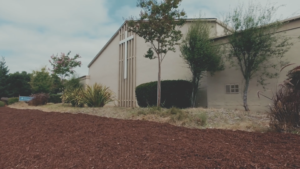 We desire to see God use our resources and abilities to plant and feed other healthy, relational church communities throughout the Bay Area and the world.